CleaningCleaners is proud to offer to commercial/industrial & residential/domestic properties, carpet cleaning London services by our professional experts and local carpet cleaners. Over the years, we've built a strong reputation by providing only high-quality standards for upholstery, rug, curtain, sofa and carpet cleaning in and around London area. Floor covering such as carpet, can be one of the most expensive investments for any property owner, and that's why occasionally they require professional cleaning and proper care to maintain and extend the life of the carpet. We use only professional high quality environmentally Eco-Green Biodegradable friendly and safe cleaning products for your carpet cleaning in London. 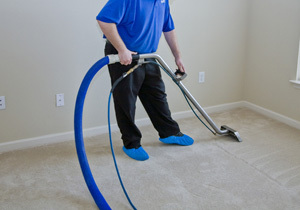 Steam Cleaning (Hot Water Extraction) and Dry Cleaning are the ways to clean a carpet, but the most popular and the most recommended method for carpet cleaning, by carpet manufacturers is steam cleaning. Has a positive impact on a person work performance. Positively affects your self esteem and mood. It makes your house a enjoyable place to relax, have fun with your family, friends and guests. If you have allergies, asthma, eczema or other breathing problems - the major contributors of your problem could be the pollen's, fungus, harmful germs, dirt, chemicals, disease-causing bacteria and dust mites that lives in your carpet. And by the way if you're sensitive to tobacco/cigarette smoke, you might find that you'll breathe a lot easier after your carpet is being cleaned professionally by CleaningCleaners London as a result of improve indoor air quality. Carpets with stains are very common for High-traffic areas. Not all carpets are created equal, and not every carpet cleaning product on the market will clean your carpet properly - because different carpets are made from different materials and required different cleaning solutions. Call CleaningCleaners today to book your professional carpet cleaning London technician at 07495 386 472 or click here.